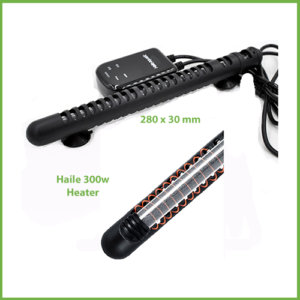 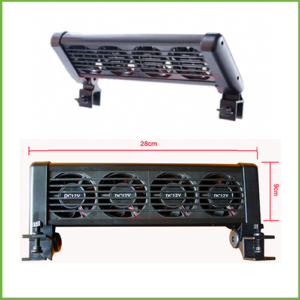 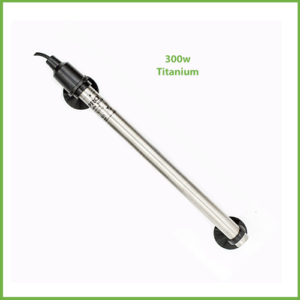 This 25 watt heater is completely submersible and has a large easy grip adjustable knob. 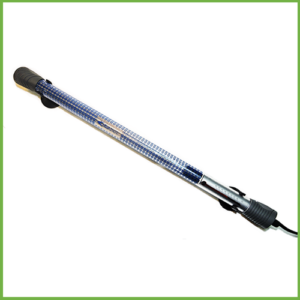 It keeps the water temperature constant is small aquariums between 20 and 35 litres. 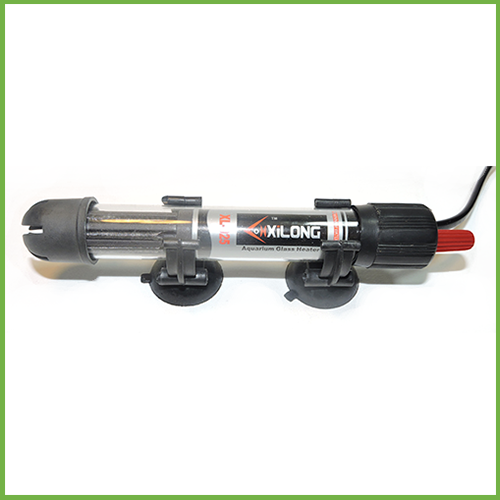 Includes 2 suction cups and must be installed vertically.